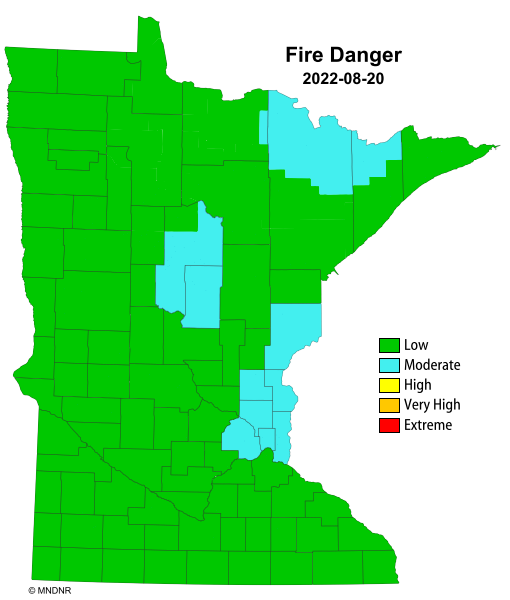 COOK COUNTY,MINNESOTA – July 15, 2018 (LSN) The Cook County Office of Emergency Management & Public Information is currently working with the University of Minnesota Duluth – Geospatial Analysis Center (GAC) to prepare an update of the County’s 2010 “Multi-Hazard Mitigation Plan” (MHMP). The Plan is a requirement of the Federal Disaster Mitigation Act of 2000 (DMA 2000), and must now be updated every five years in order to maintain eligibility for federal hazard mitigation funding programs. Development of the Plan is under the direction of the Cook County Office of Emergency Management & Public Information, in cooperation with a planning team of representatives from County Departments, local municipalities, school districts, and other key stakeholders such as utility providers. The County is also working with the Grand Portage Band of Lake Superior Chippewa to participate in the planning process and develop a Tribal Annex to the County Plan. The Planning Team is responsible for providing feedback required for the Plan update, including the ranking of hazards and identification of strategic, cost-effective mitigation activities that may reduce future losses for the County and individual jurisdictions. Some mitigation activities may be eligible for future FEMA Hazard Mitigation Assistance (HMA) grant funding, such as: localized flood reduction measures, property acquisition and relocation/conversion to open space, infrastructure retrofits, wildfire mitigation, and safe room construction or retrofits to provide immediate life-safety protection for people vulnerable to tornado and severe wind events. The Cook County MHMP is a multi-jurisdictional plan that covers all of Cook County, including the City of Grand Marais, townships, and unincorporated areas. The Cook County MHMP also incorporates the concerns and needs of school districts, public utilities, and other stakeholders participating in the Plan. Cook County is vulnerable to a variety of potential natural disasters, which threaten the loss of life and property in the County. Hazards such as wildfire, straight line winds, flooding, blizzards, ice storms, and droughts have the potential for inflicting vast economic loss and personal hardship. Examples of hazard mitigation include actions such as improvement of roads and culverts that experience repetitive flooding; implementation of wildland fuels reduction; construction of safe rooms at campgrounds, parks, mobile home parks or schools to protect lives in the event of tornados or severe wind events; burying powerlines that may fail due to heavy snow, ice or wind storms; ensuring timely emergency communication to the public through warning sirens and mass notification systems, and conducting public awareness & education campaigns to help people to be prepared to take safe action before, during, or following a hazard event. What are the natural hazards you feel pose the greatest risk to your community? What concerns do you have, and what sorts of mitigation actions or projects do you feel would help to reduce the damages of potential future events for your personal property, your community, or the County as a whole? The public is strongly encouraged to submit your comments, concerns, or questions regarding natural disasters and potential mitigation actions to be included into the plan update process. Please submit your feedback to Valerie Marasco, Cook County Director of Emergency Management & Public Information: 218-387-3059 or Valerie.Marasco@co.cook.mn.us . Comments may also be submitted on the Cook County Sheriff’s Office & Public Safety Facebook Page. The public will have a continued opportunity to participate in the MHMP update in the coming months. A draft of the Plan will be available for public review prior to submission to the State of Minnesota. Future opportunities for public involvement will be publicly advertised and shared through media.